Aestheticell is pursuing the Aesthetic Textbook Project, redesigning textbooks in the hope of instilling a sense of beauty in children’s minds. With a textbook layout containing plenty of white space as well as fine pictures and photos, classes are not just about acquiring knowledge but also about imperceptibly cultivating a sense of beauty. 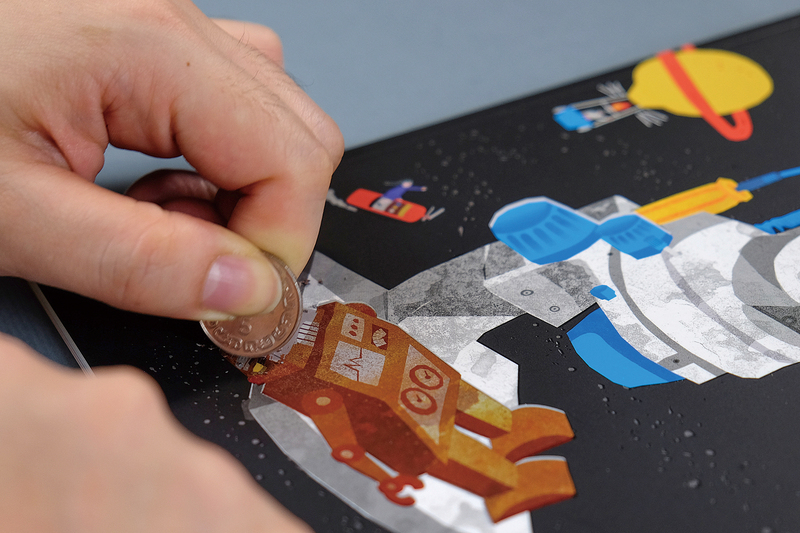 Designers integrate such creative wonders as augmented reality and scratch painting into their textbooks, making learning more fun and stimulating children’s imagination. If a classroom contained a sofa or its exterior became a cave, what kind of scene would that be? These are examples of the classroom landscapes created for children by teacher ­Huang Kuo­ping of New Tai­pei City’s ­Chong De Elementary School. When textbooks have boxes to fill in with words and pictures, they become lively and fun. 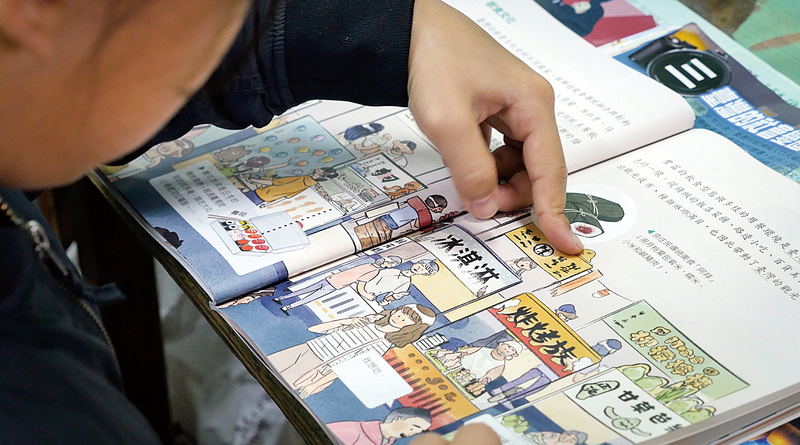 Aestheticell, formed by three young people, is striving to change the face of Taiwan’s textbooks. Changes are afoot in aesthetic education, making a sense of beauty part of children’s lives, and planting beautiful seeds in their hearts. In September, 2017, Taiwan’s first Dream Classroom, built by IKEA, made its appearance at ­Chong De Elementary School in Xi­zhi, New Tai­pei City. Its ceiling is pale yellow, its walls indigo. The windows are graced with curtains patterned with all varieties of green leaves. Bright yellow and white dining chairs and wooden tables that can be grouped together have replaced the traditional desks and chairs. 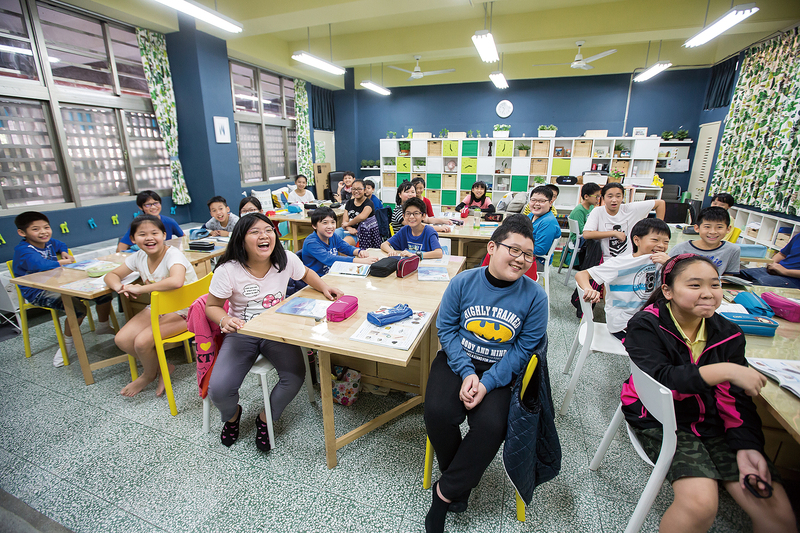 Chong De Elementary School teacher ­Huang ­Kuo­ping’s classroom is the first beautiful incarnation of the New Tai­pei City Education Department’s and IKEA’s campus improvement project. The room’s designers interviewed ­Huang about his conception of a classroom: desks and chairs that can be folded for storage, space that can be varied and combined in different ways, rich colors, a homely feel. “A classroom is not just a place where students attend class, it’s also where they live their lives. 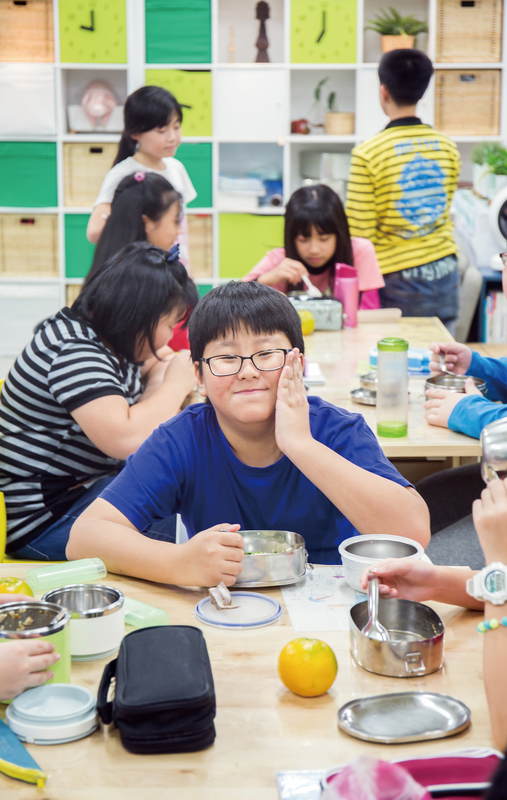 The parts of the day when children are most awake are spent in the classroom, so we hoped to give it a homely feel, a sense that one can relax.” This is ­Huang’s vision of a classroom. The folding desks can seat six persons, the students sitting opposite each other, which is convenient for discussions in groups. Fold down the two sides of a desktop and all that remains is a slim cuboid. Move them aside and you can empty out the classroom’s central space to practice a dance performance, or turn out the lights and everyone can enjoy a movie while seated on the floor, giving the feeling of an outdoor movie theater. It’s a highly flexible space. To provide a unifying theme, ­Huang and the design team boldly replaced the traditional bulletin board at the back of the room with a row of bookcases—white with grass-green and white doors, and randomly positioned bamboo baskets and dark green cloth baskets. 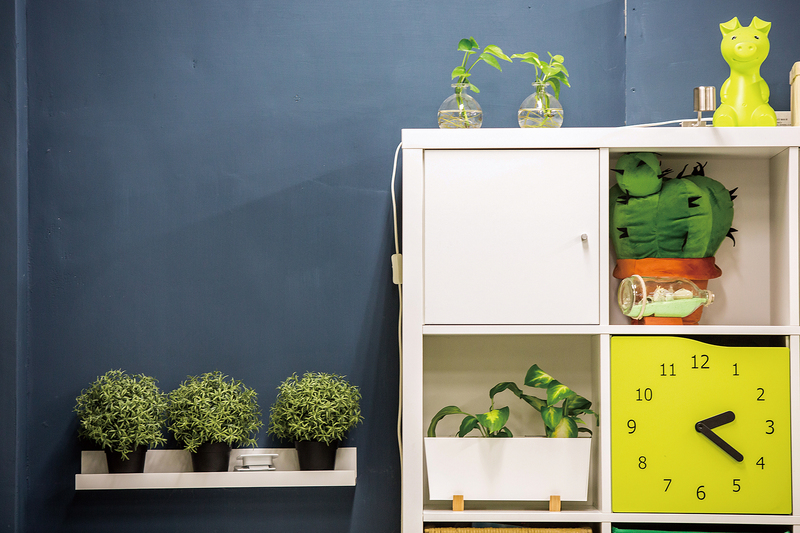 The color combination and some decorative pot plants and figurines bring the bookcases to life. 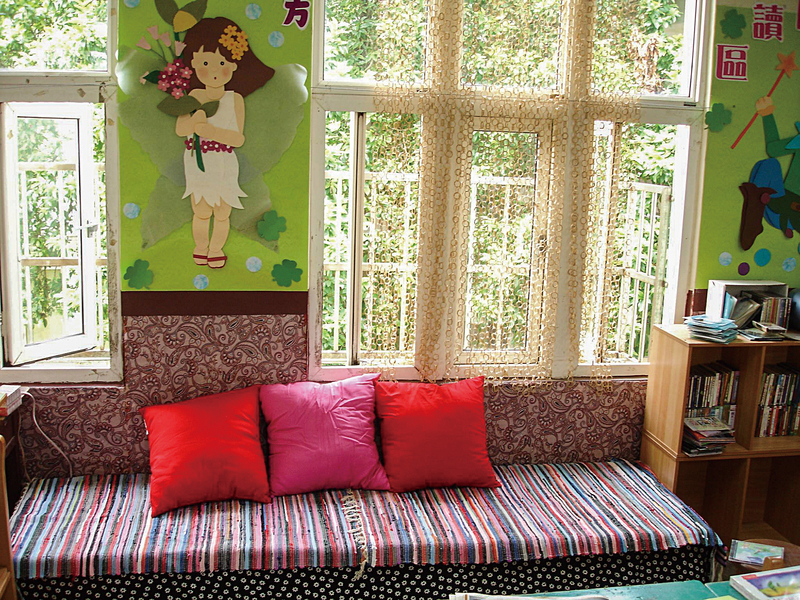 The cloth sofa in front of the bookcases lends the classroom all the warmth of home. Choose a book and, be it on the sofa or on the rug in front of the teacher’s work desk, pick the spot you prefer and you can read to your heart’s content. Each part of the classroom has its own beauty. At noon break students can even choose for themselves whether to take their siesta with their heads resting on the desks or to sleep on the floor. Each child can find a space to their own liking. One need only to enter the remodeled classroom to feel invigorated by its fresh, clean, bright style and observe that a beautiful dream has been realized. That his project was chosen from among so many reflects ­Huang’s cumulative efforts over more than ten years to remold the classroom ambience. 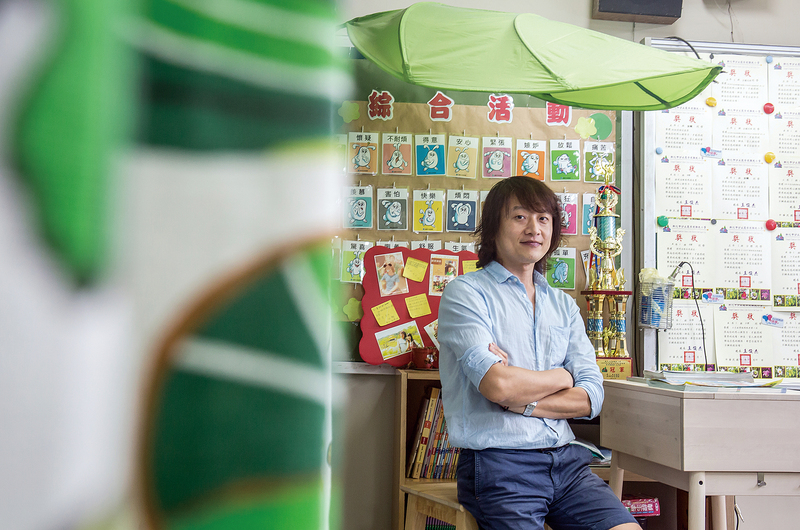 “Taiwan’s classroom landscape has barely changed at all in decades. With educational reform we are constantly changing the curriculum, but we have only concerned ourselves with course content. We haven’t considered how to shape the environment,” he laments. 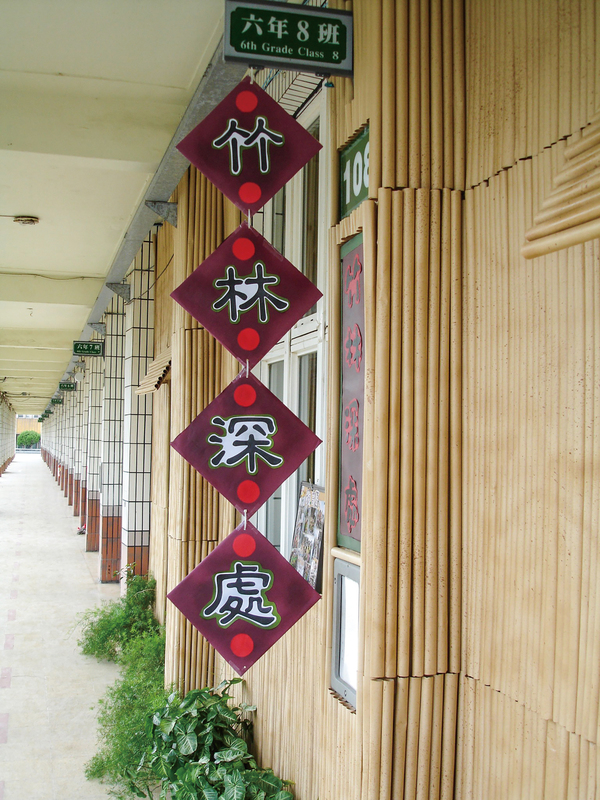 Since he first became a homeroom teacher, ­Huang has taken the initiative to decorate his classrooms, pasting on the bulletin board cartoon figures cut out of ­paper, buying curtains, tablecloths and even a secondhand leather sofa, just to give the classroom a warm and attractive appearance. A few years ago, ­Huang taught at Da Yuan Elementary School near Tao­yuan International Airport. Because of the airport, the windows in the classroom couldn’t be opened, and it seemed a shame at the beginning of the semester to see the students, after receiving their new books, throw away the brown paper wrapping. So he had a bright idea: to expand the arena for classroom decoration to the classroom’s outside walls, by crumpling up the brown paper and covering the wall of the corridor around the classroom door with it, creating the impression of a cave entrance. He used winter and summer vacations to do this and other projects in his own time and at his own expense. Sometimes he labored so hard he got blisters on his hands. But he says that during the course of the work he was full of expectation and enjoyment. His greatest satisfaction came at the beginning of the semester, when he saw the students’ expressions of total surprise and joy. When children are able to live in a thoughtfully designed and decorated space, something of it will rub off on them, helping them to develop an aesthetic sense of their own. 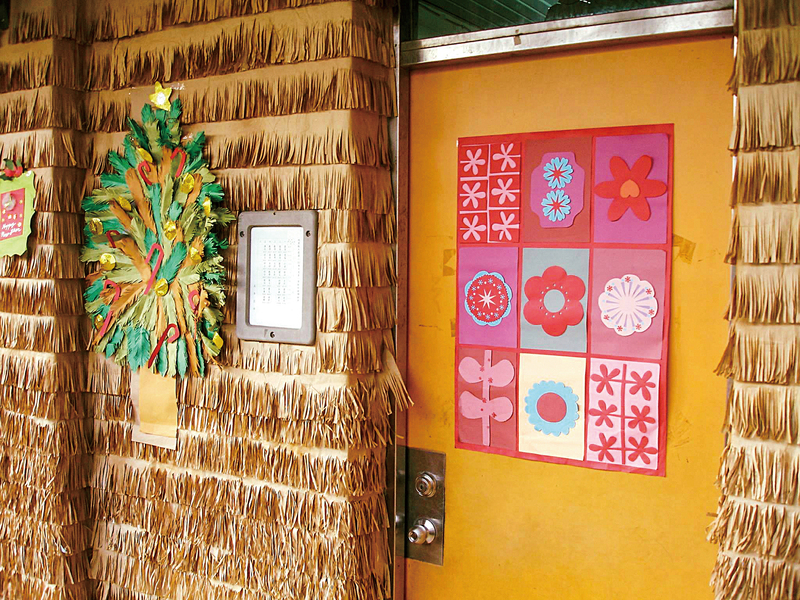 Some of ­Huang’s former students who have become teachers themselves have emulated his approach, decorating their classrooms beautifully and continuing to spread the aesthetic seeds that ­Huang sowed in their hearts. Endorsement of aesthetic education begins with the environment, not just with teachers. 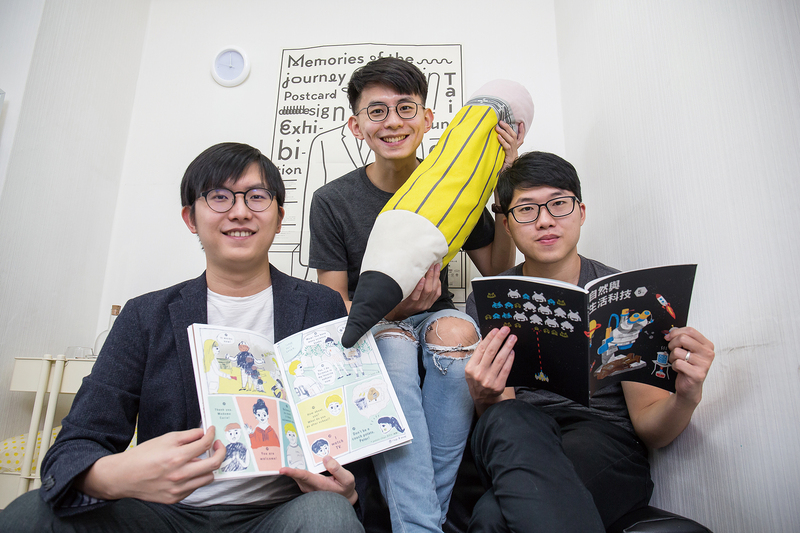 Aestheticell, a group that is promoting textbook reform, was formed by three young people who are striving to advance Taiwan’s aesthetic accomplishments. Three classmates from National ­Chiao Tung University—Lin ­Tsung-yen, Swi Chen and Wayne ­Chang—met for the first time at a student society event on campus. After sharing each other’s experiences of going overseas, they reveled in their shared admiration of the beauty of foreign cities. An apparently effortless sense of design expressed in everything from streetscapes and architecture down to posters and flyers set them thinking about how to improve aesthetic education in Taiwan. Developing an aesthetic sense demands long-term cultivation and contact, and repeated discussion. Compared to remodeling buildings or revamping signboards, the redesign of textbooks is relatively inexpensive, but its influence is more far-reaching. “Give us a textbook and we’ll give the children an art gallery.” This was the founding purpose behind Aes­theti­cell: to enable children to access richly aesthetic works simply by opening a textbook. 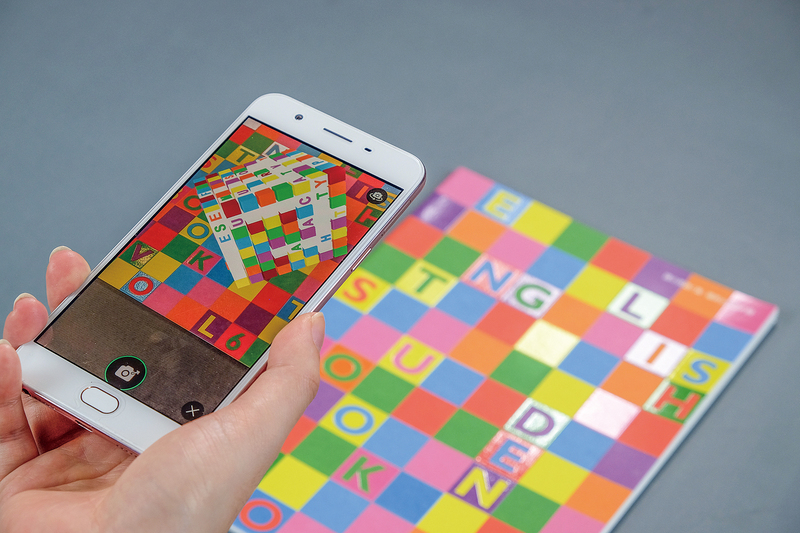 In 2013 the three, who had not yet graduated, made a firm decision to launch their Aesthetic Textbook Project. 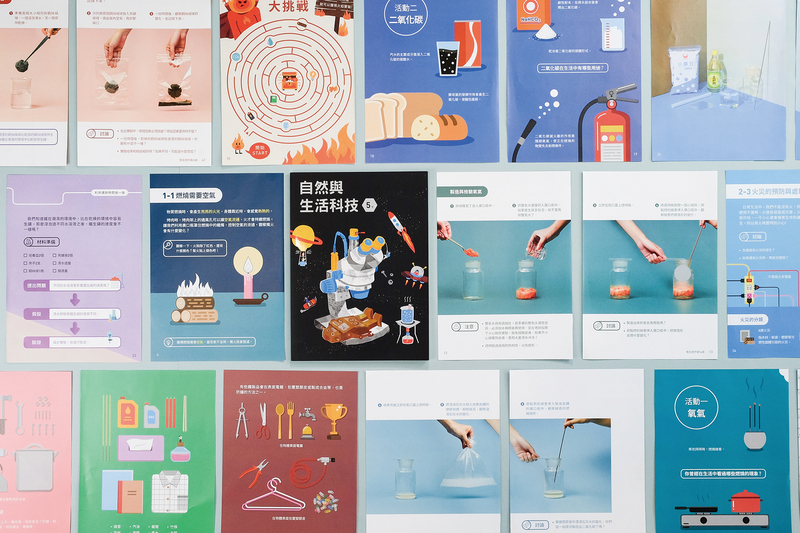 After a frenetic few months, they finally found ten or so designers and together they overturned every­one’s conception of a textbook for Chinese class. They enhanced the content by mixing and matching different typefaces and developing lively and entertaining illustrations. 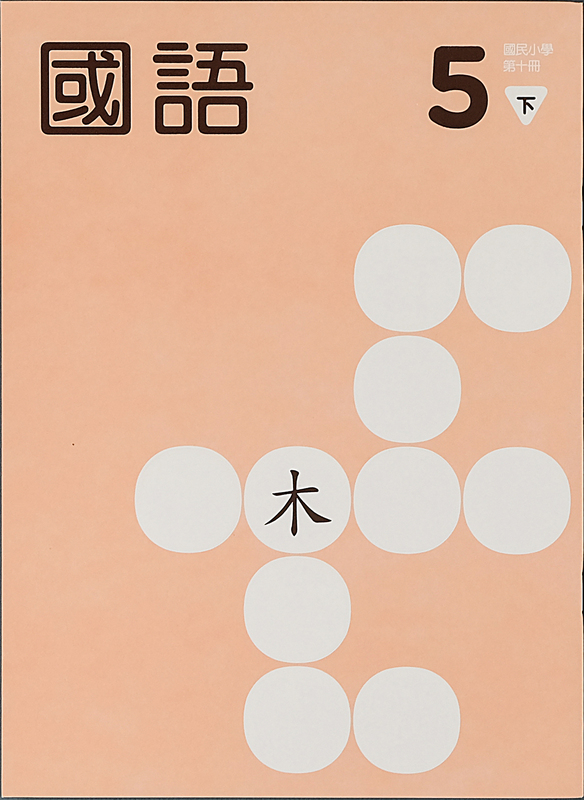 The layout presented a design based on modern principles of visual communication, making a Chinese textbook no longer just for the study of Chinese but also for the study of aesthetics. When Wayne ­Chang is out distributing books, children often ask him how they can realize their dreams. He tells them things are not as difficult as they imagine; they just have to go ahead and do it. Maybe the first time you achieve only 50 percent, but you carry on and the second and third time it’s better and better, closer and closer to your dream. Each generation of the aesthetic textbooks embodies different objectives of the team. The first generation confirmed the value of the project. The second explored different possibilities for different age groups. With the experience of two generations of textbooks behind them, in their third generation of textbooks the Aestheticell team has extended the scope of the books from Chinese to English, math, natural science and society, with a different designer handling each subject area. Swi Chen believes that each designer is a curator, so each is given the freedom to design the textbook in accordance with their conception of the subject. Chen says the task of each book is different. Across the range of subjects, from society and Chinese to natural science, English and math, some conform closely to current legislation and usage, while at the other end of the spectrum there are no restrictions at all, allowing the designers to exercise their creative values just as they wish. The foldout page format of the math textbook by designer Joe Fang seems like something out of Transformers. 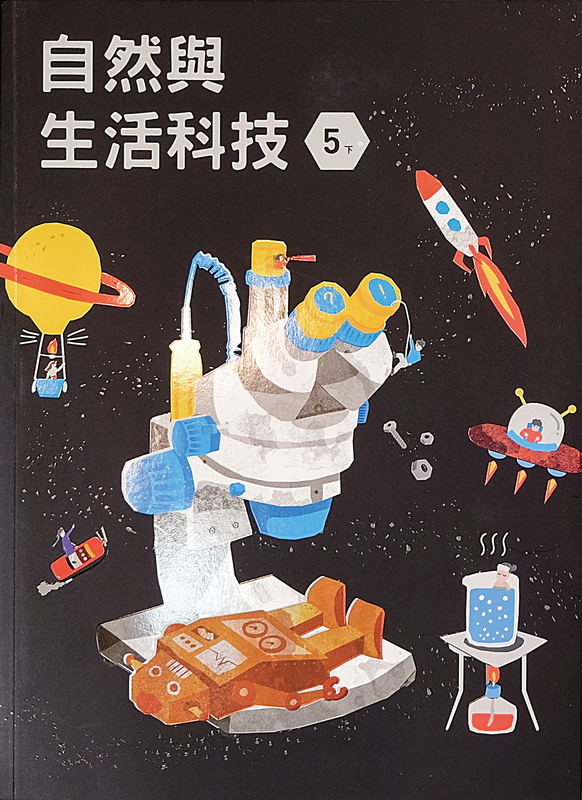 By the endeavors of designer Alice Wang, the equipment and procedures of the experiments in the natural science textbook are presented in high-quality photographs. The pages’ background colors accord with the different natures of the experiments. For experiments involving gases it’s a cold-hued blue. For those involving combustion, warmer tones are adopted. The society textbook was produced by information design firm Simpleinfo, whose illustrations enable the ­information to be conveyed at a glance. 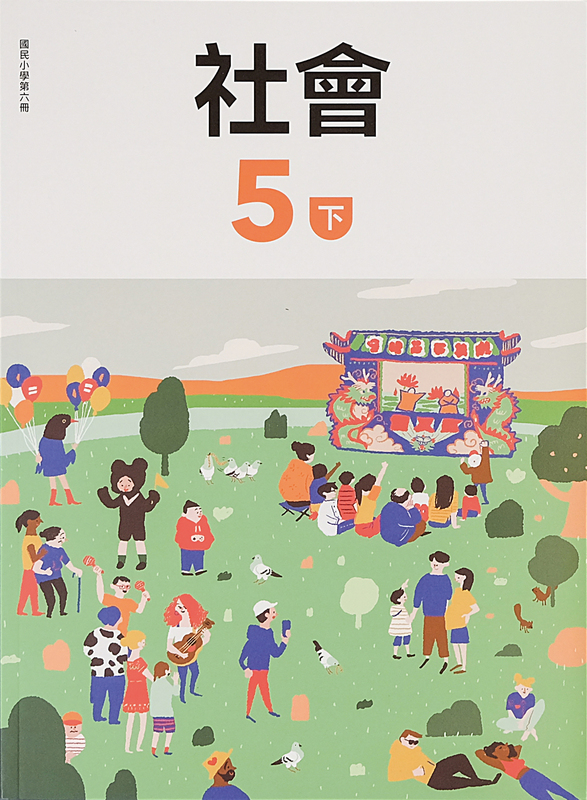 It introduces foods with illustrations of visits to night markets. Gender equality and the issues of indigenous peoples are also presented through images, stimulating the imagination and giving children and teachers scope for discussion. In the Chinese textbook, designer Feng Yu uses graphics appropriate to the content of the text. When discussing time management, for example, he includes a time recording chart to enable children to plan their own time and to get them to think about the topic. 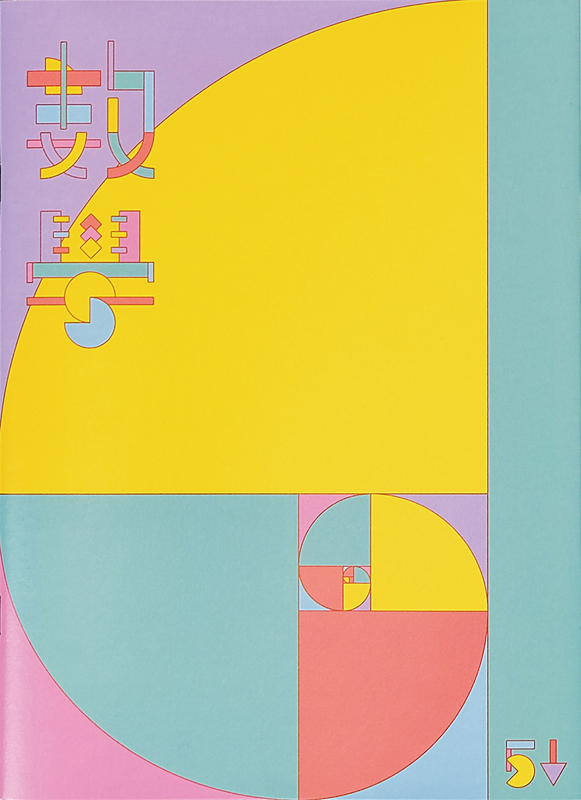 Designer Leslie Chan’s creativity delivers an English textbook rich in the visual impact of contemporary art. 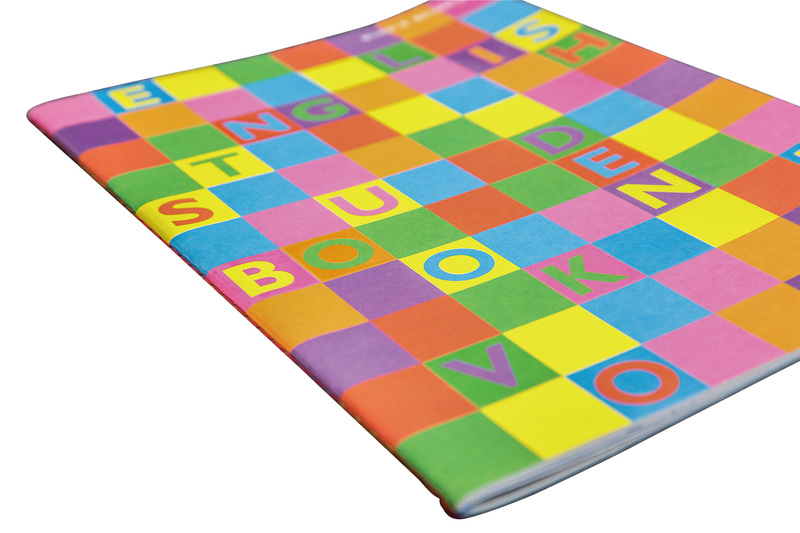 Its cover features blank spaces for children to fill with words or pictures just as they please. These textbooks rich in design concepts have been distributed to 170 schools throughout Taiwan. If during their 12 years of compulsory education and countless in-class hours, children can immerse themselves in these beautiful books, they are bound to experience a different world of the imagination in terms of the keenness of their color perception and their inspiration to creativity. The Aesthetic Textbook Project has shaken up every­one’s idea of the textbook, but current legislation may prevent significant changes from being made any time soon. Yet any change, however small, such as relaxing the regulations about textbooks’ typefaces, illustrations, layouts and even price, can give rein to the skills of outstanding Taiwanese designers, and so enhance textbooks’ impact. From the classroom environment to the design of textbooks, by changing these media that accompany children during an important time in their lives, we can make “aesthetic education” no longer just about art classes or visits to art galleries, but about making a sense of beauty an integral part of life, bringing a whole new meaning to the term.